Not so long ago, having prototypes or a few production parts machined was a more costly and time consuming process. You mailed a paper drawing to your favorite machine shop, had a short chat with the owner or shop foreman to discuss the due date and price, and waited. If you were in a hurry, maybe you paid for the overtime to get the parts done sooner, but prototyping was still an exercise in patience. You could get real parts, but at the cost of valuable production time and money. Then came the service bureaus with their 3D printers. Plastic prototypes could now be ordered quickly and far more affordably than hiring a local shop to set up a machine. The only problem was the material—those early generation stereolithography (SL) systems were limited to one or two types of liquid resin photopolymers, good only for “show and tell,” or as patterns for casting and molding. Additive manufacturing was in its infancy. Soon other methods with their own confusing acronyms became available. One of these is selective laser sintering (SLS), which uses a powder bed of nylon-based material rather than liquid resin. This eliminated the need for support structures during the build process as with SL, thus reducing post processing and saving time and money. Stereolithography wasn’t sitting on its laurels during this time. SL parts today are made from a range of resins that mimic some of the properties of engineering plastics. These are available in different colors and strengths, making them suitable for more than dog-and-pony shows. Machining has evolved over the years as well. For example, Proto Labs’ CNC machining service can deliver machined parts, in both plastic and metal, in less time than it takes to get a quote from other, more traditional machine shops. Upload a CAD file, choose the material and part quantity, and tell us when you need the parts. Chances are you can have parts by tomorrow and at a cost that is comparable to 3D printing, if not cheaper for certain geometries. Like shopping for smartphones, the problem today is one of choice. How does a product designer or engineer know which process is best suited for his or her part design? Since machining has been around at least a century longer than additive manufacturing, let’s start there. For the most part, plastic is very easy to cut. Granted, glass-filled materials are somewhat hard on the end mills, and acrylics can chip. Teflon is slipperier than a politician. But for the most part machining plastic is as easy as it comes. Proto Labs can machine more than three dozen types of engineering-grade thermoplastics. 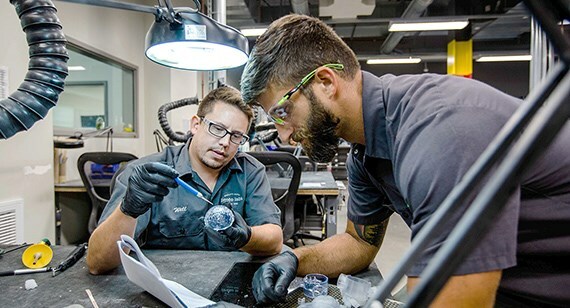 Some of these are also available on the additive side of Proto Labs, but when it comes to material selection and quality, machining wins hands down. Acrylic, acetal, ABS, nylon, PC, PP, PEI, and PEEK—these and a host of other plastics cover the needs of nearly any part design imaginable. 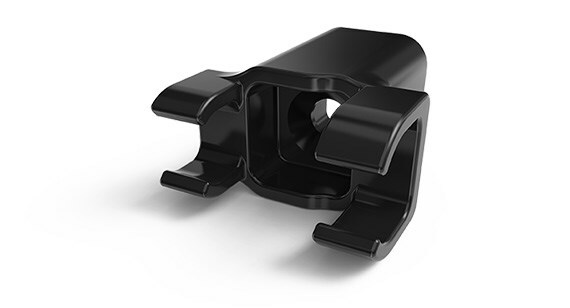 Final machined plastic parts can be used for form and fit testing, and even as functional parts in many cases. On the additive side of plastics, material options are more limited. SL parts are built from photopolymer resins that mimic some properties of plastic like ABS, PC, and PP. They work well for prototyping form and fit, but for functional parts, machined plastic is the route to travel if design will allow. Now the story is a bit different with SLS, which uses actual thermoplastic nylons to build parts. This process tends to bring added durability and stiffness to 3D printed parts, but color options are literally black and white and surface finishes aren’t nearly as nice as for machine parts. Where the machining process sometimes comes up short is part geometry. Proto Labs uses three-axis CNC machining centers. This produces parts that are largely orthogonal: an engine bracket, a camera body, the baseplate for a thermostat or even the thermostat housing itself—these are good candidates for machining. Sharp internal corners on vertical walls are challenging, as are undercuts and pockets deeper than a couple of inches, but almost everything else is fair game. Proto Labs is planning to launch a CNC lathe service for plastics to match our current CNC lathe for metals process later in 2015. Cylindrical plastic parts—a drive shaft for a snowmobile, or the next greatest trailer ball hitch—can still be milled (or 3D printed) until then. And then there are some part designs that machining can’t touch. That’s when additive steps up to the plate. It would be impossible, for example, to machine a whiffle ball, whereas SL and SLS can build that with ease. Machining the internal cooling channels in a heat exchanger would likewise be a challenge, but is possible in with a metal 3D printing process such as direct metal laser sintering (DMLS). Other parts are a tossup. A class ring can be machined or printed, but milling away the material inside the ring would be both wasteful and time consuming. The same holds true with a picture frame or a set of napkin holders. Because it can print just the material needed, additive wins. Another large consideration to factor in with geometry is whether or not the part will eventually move into a manufacturing process with the ability to produce larger quantities, e.g., injection molding. A machined part typically has an easier path to molding than an additive part for two reasons: the material used in machining can more easily be duplicated in the molding process and printed parts with highly complicated geometries will most likely have to be modified in order to be molded effectively. Aside from material choices, there are other important differences between plastic machining and additive processes. In terms of accuracy and surface finish, machining tends to be more accurate and has better long-term dimensional stability than SL parts, with surface finishes being approximately equal between the two processes. SLS parts have rougher finishes than SL or machined parts, and are more stable than SL parts and approximately as dimensionally stable as machined nylon parts. The wild card in the additive versus machining plastic conversation is quick-turn injection molding. 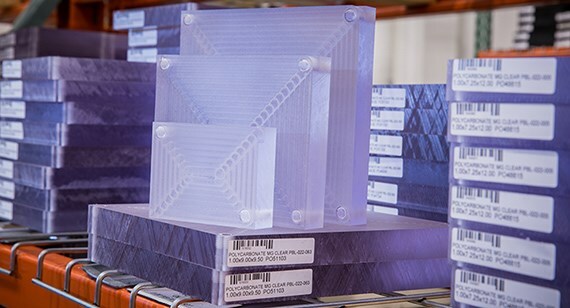 Even though injection molding at Proto Labs is often used for low-volume production, most customers also use the service for manufacturing small quantities of prototypes and production parts with a similar turnaround as additive and machining. If this is the case, different design considerations in areas like the aforementioned material selection, geometry and tolerances come into play, but perhaps that’s a conversation for a future design tip.